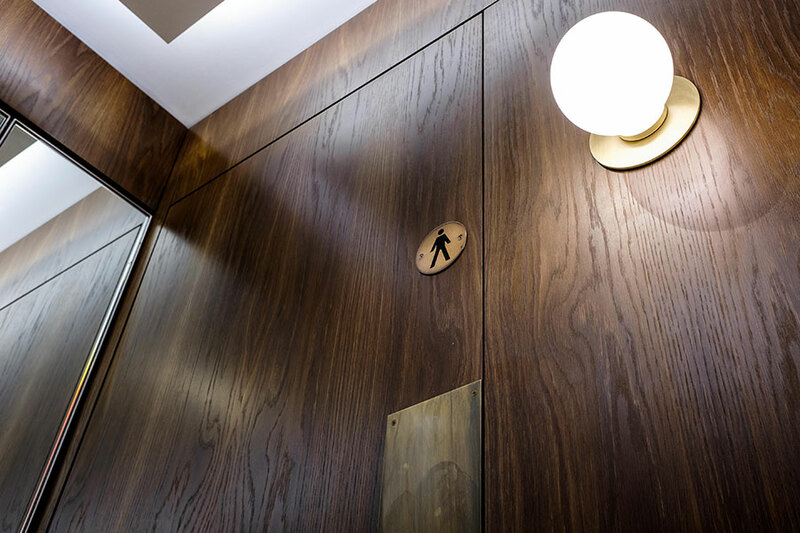 We’ve installed a striking new run of washrooms for a London office utilising a striking dark oak and bronze design to complement the building’s distinctive Art Deco interior. 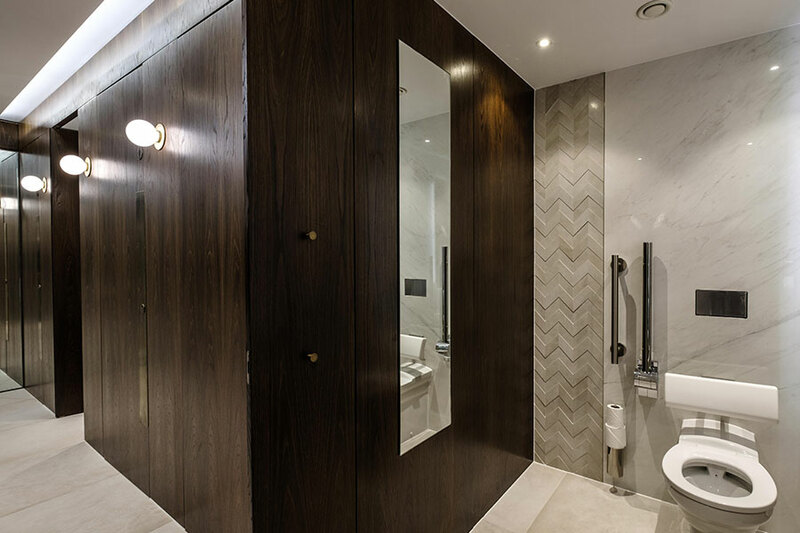 Alto toilet cubicles with a natural fumed oak veneer finish and bronze accessories. The 1930s built Kent House has been refurbished throughout to provide Grade A office space set over nine floors, with two retail units on the basement and ground floors. A short stroll away from Mayfair and Soho, the building boasts natural light on all sides and is something of an island in the heart of London’s crowded west end. Working with Nick Jordan from interior architecture and design company, WISH, we installed new washrooms on the second floor of the building which were designed to complement the Art Deco style of the building. In order to maximise the available space for office use, we created a run of unisex superloos. Each self-contained cubicle includes a WC, vanity unit and hand-drying facilities behind a full height cubicle door with the same design also rolled out to the disabled access toilets to create a cohesive design across all areas of the building. Also being unisex, such superloos mean there is no need for separate male and female facilities which take up more space – making them an increasingly popular choice within the office sector. Our full height, floor to ceiling Alto toilet cubicles were specified as they provide complete privacy, a vital requirement for unisex facilities. The popular Alto cubicles can be manufactured in a wide range of different finishes and materials but for this project a natural fumed oak veneer was used to create the unique look as specified. The engineered oak was treated with ammonia to bring out the natural tannins in the oak and create a dark rich shade to mirror the classic dark wood typically seen in 1930s interior design. 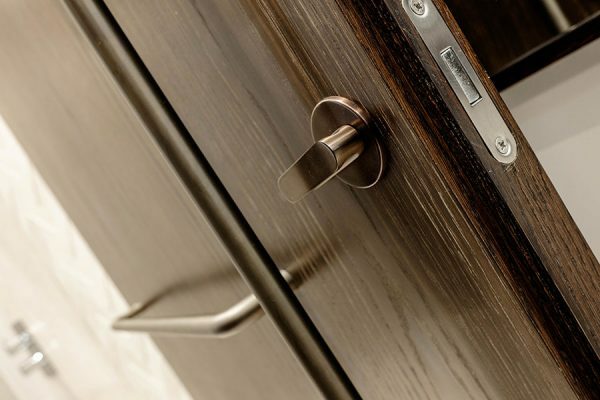 Finished with 20 per cent sheen lacquer for a shiny finish that is also hardwearing and easy to clean without concealing the natural grain of the wood. 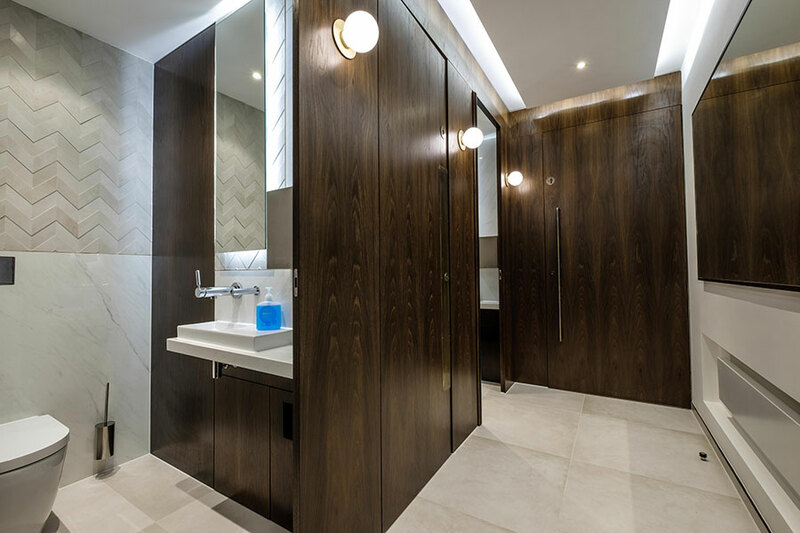 Each cubicle includes its own bespoke vanity unit, which we designed and installed with veneered vanity under panels and wall panels both stained to match the toilet cubicle doors and link the washroom areas to together. The bespoke vanity units complete with square countertop basins set on a floating shelf also included an integrated waste bin to keep the washroom areas clean, tidy and clutter free. The addition of unique bronze effect ironmongery accessories from Allgood including locks, disabled handles, push plates and signage, combines with the dark oak woodgrain to create the luxury high specification finish required to deliver a contemporary washroom with a nod to the style of the building itself.